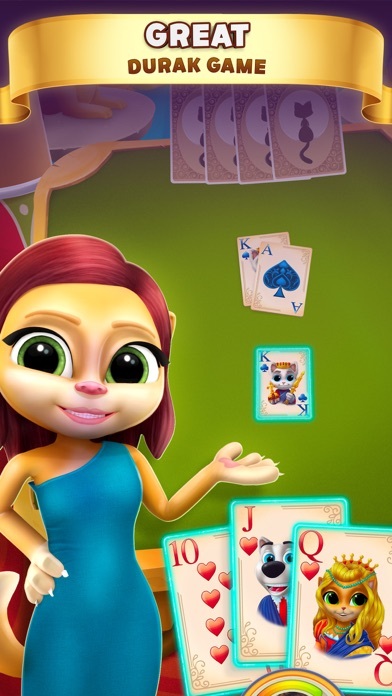 Let a couple of adorable cats shuffle your cards in a brand new Durak Cats - 2 Player Card Game! 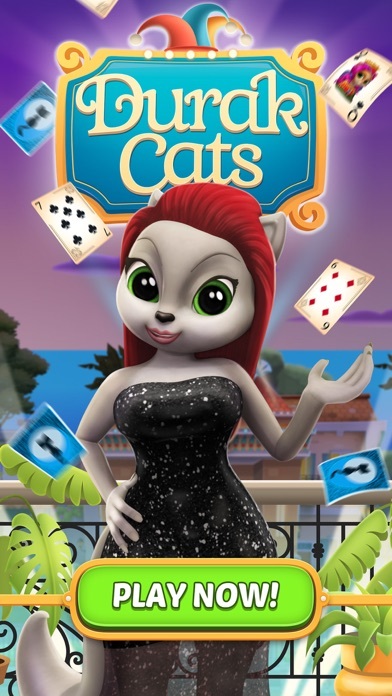 Durak Cats is the most exciting version of the most popular Russian card game that you don’t wanna miss! Traditional Durak is now a modern, 1 on 1, online multiplayer card game that gives you an opportunity to win your way to VIP rooms! 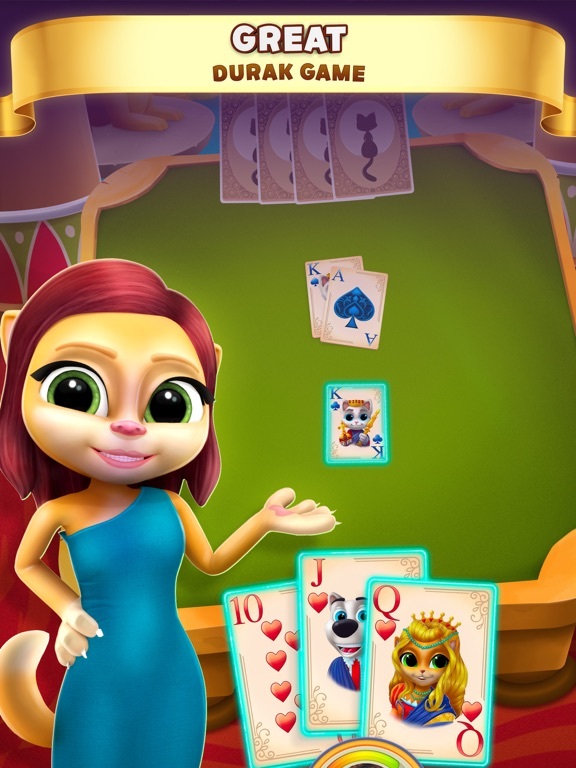 Download Durak Cats, your next favorite 2 Player card game now! Have a new online Russian Durak experience, fast and easy! 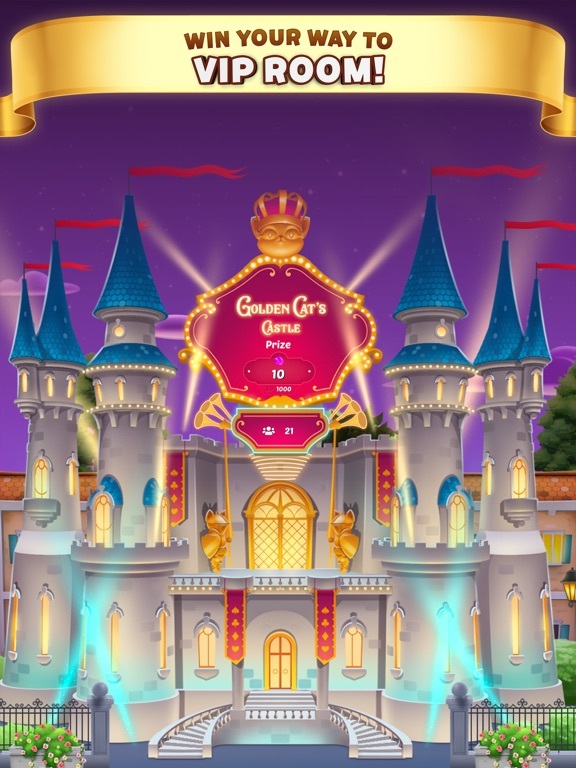 Join millions of people in this 2 person card game online and absolutely dominate other players! 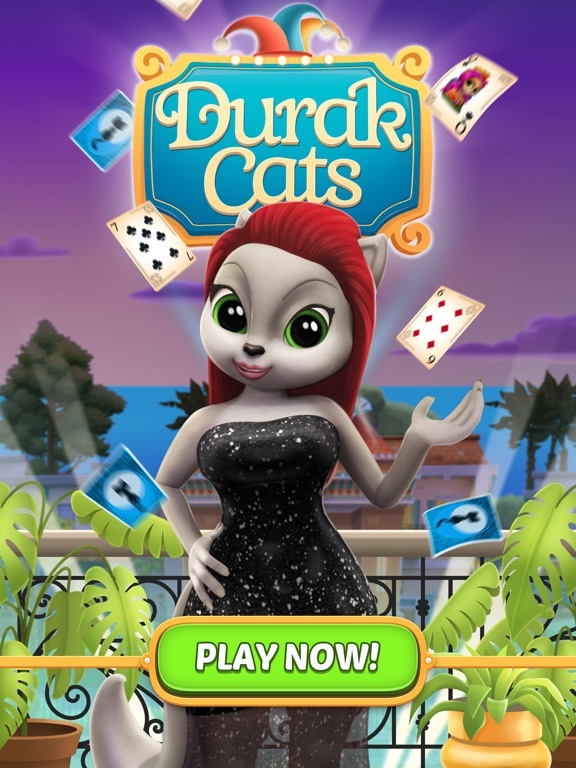 With Durak Cats you will always be able to reach any durak card game opponent from any part of the world and be the NUMBER 1 DURAK CARD GAME PLAYER! 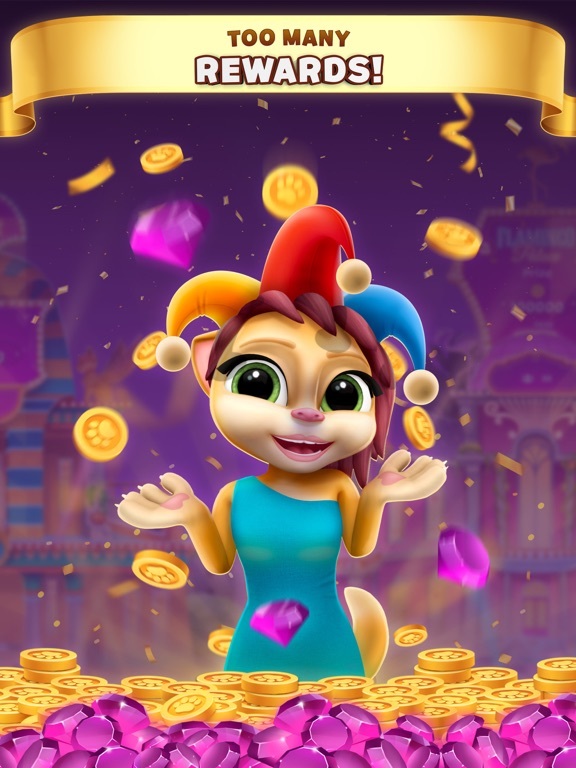 ◈ HIGHLIGHTS OF DURAK CATS - 2 PLAYER CARD GAME: ◈ ◆ Play Durak against real opponents, 1 on 1 ◆ Experience 8 different rooms and win your way to the VIP room - Golden Cats Castle ◆ Get too many rewards (lucky spin bonus, free coins every 4 hours and more!) 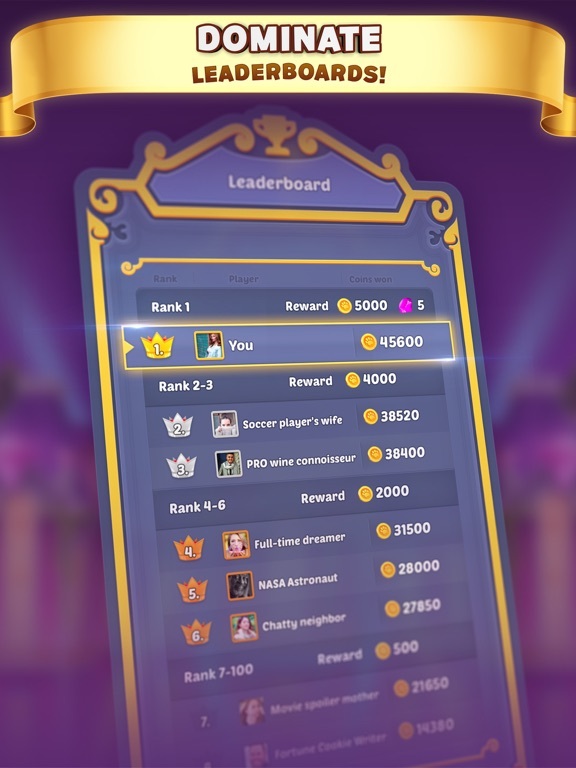 ◆ Become a chip leader and dominate the leaderboard ◆ Simple, challenging and fun Develop your own durak strategy and make the leaderboard sizzle with your awesome durak online results and scores! In this new multiplayer Durak game you can challenge thousands of durak game players and earn tons of coins! Download Durak Cats - 2 Player Card Game, and play it NOW ‘cause the glory awaits! 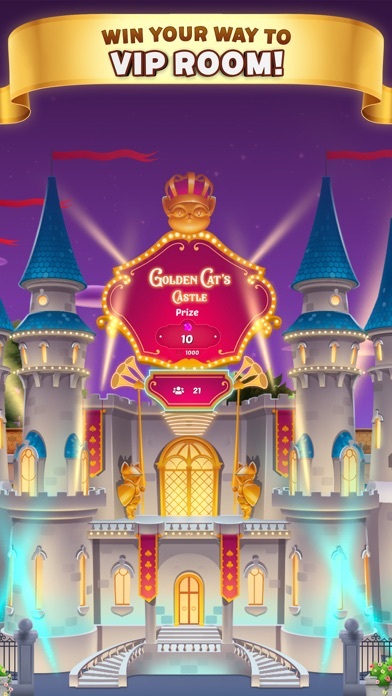 Give it a try, play now! ◈ HOW TO PLAY DURAK? ◈ This multiplayer card game really is different: while in most of them you strive to be the winner, in durak card game you try your best not to be a loser. The aim is to get rid of all durak cards, so the player that stays with them is a DURAK, meaning fool, and a fool can definitely not win! So how do you avoid being a durak? There are 36 cards on the board. Each player gets 6 durak cards. The card that is positioned face up is a trump, and its suit can beat any other durak card. Just beat up the attacker in this 2 player card game by following with a bigger card of the same suit, or with the trump suit. 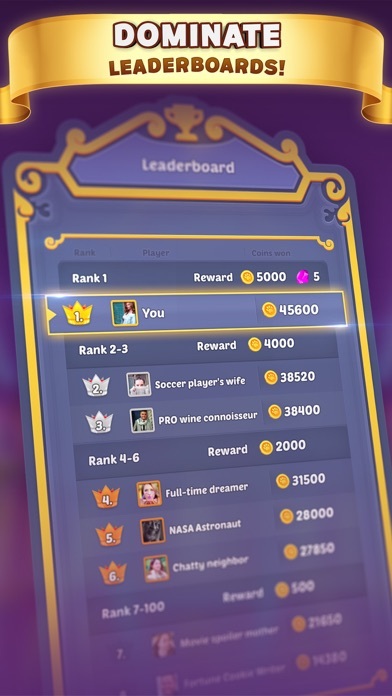 You can choose to follow the attack, pass it or take the opponent’s card (which you don’t really wanna do, since you want to get rid of the cards). 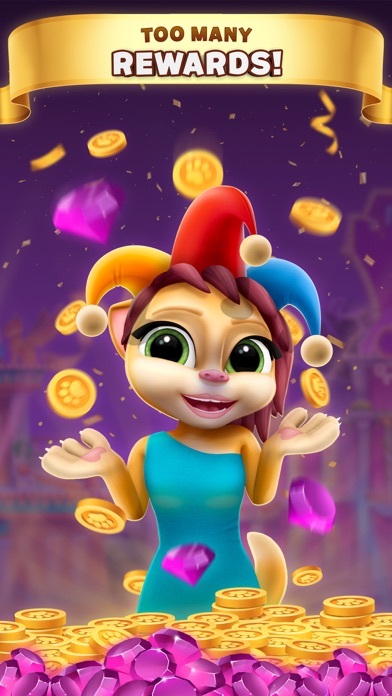 Don’t be a fool, download Durak Cats - 2 Player Card Game online - a Russian card game in which you can start small and win big! Monster Girls - Dress up Games!